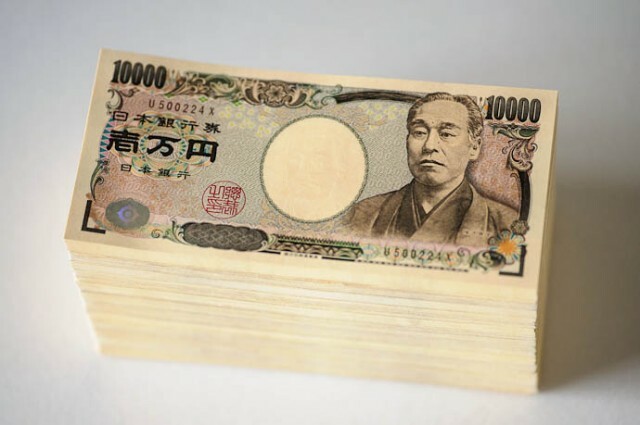 How to get money in Kyoto: the easiest and safest way to get cash in Kyoto. The lowdown on ATMs, changing cash and using credit cards in Kyoto. Use your ATM card to get most of your money after you arrive in Japan (make sure the account it draws from is cashed up). You can get your first wad of cash from an ATM at your arrival airport. Bring a few hundred dollars in foreign currency cash (US dollars and euros get the best rate) for situations where you can’t use an ATM. Bring a VISA credit card so you can do a cash advance if the ATM/cash options fail. Don’t bother getting travelers checks. Don’t get Japanese yen before arriving in Japan (exchange rates are usually better in Japan). ATMs should be your primary source of cash while you’re in Japan. You can get yen cash from ATMs in Japan with a normal bank card, provided you have sufficient funds in the account that the card accesses. Cards on international networks like Plus, Cirrus, Star etc can be used in Japan. The back of your card may have the symbols for the networks it belongs to. Be sure you know the PIN number of your card. 1. Some banks put daily withdrawal limits on their cards or prevent overseas use of cards without prior notification (this has been a problem with Bank of America-issued cards). So, before leaving home, ask at your bank about the daily withdrawal limit and overseas usage of your card. 2. Your card must be an ATM/bank card, which withdraws money from a live account, as distinguished from a credit card, with which you charge cash. Credit cards won’t work in most Japanese ATMs unless the card has a normal ATM/bank card feature. 3. You’ll find ATMs in every bank in Japan. However, most bank ATMs only accept Japan-issued cards, so don’t bother trying your foreign card. Instead, you can use your bank cards at post offices and convenience stores (see below). 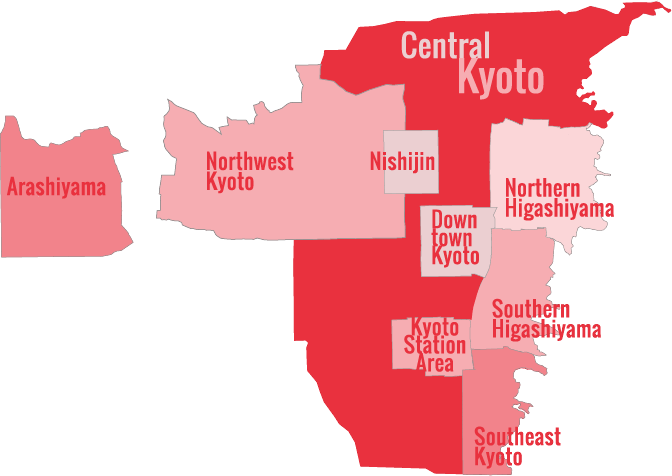 All Japanese post offices ATMs and you can find post offices in almost every city, town and village in Japan. You’ll even find them on the far-flung outer islands. ATMs are usually open the same hours as the post office itself (9am to 5pm weekdays only), so don’t count on getting cash after hours from them. However, the central post office in each city will usually have ATMs that are open almost 24 hours a day. Occasionally, you’ll find that your card won’t work for some reason. Japanese postal ATMs have English guidance (select the English option from the first screen and follow the instructions). These days, Japanese 7-11s have ATMs that accept most foreign-issued cards. This is convenient, because these places are open 24 hours a day, seven days a week. Most convenience store ATMs have English guidance. What Currency To Bring To Kyoto In Cash? Bring a few hundred US dollars in foreign currency (US dollars are best, followed by euros) for situations where you can’t use an ATM. You can exchange foreign cash for yen at post offices, banks, some large hotels, department stores and discount ticket shops. You’ll get the best rate at discount ticket shops, followed by banks and post offices, followed by hotels and department stores. You will get a competitive rate for US dollars, a decent rate for euros, and a terrible rate for Aussie dollars, Kiwi dollars, Canadian dollars and British pounds (meaning, they really only want to deal with US dollars and euros). Post offices will exchange major currencies for yen during their normal operating hours (meaning 9am to 5pm weekdays, with central post offices in cities open weekends). As mentioned above, the rates are best for US dollars. You’ll need your passport when exchanging money. Most banks in Japan will exchange major currencies for yen during their normal operating hours (meaning 9am to 3pm or 5pm on weekdays only). As with post offices, you’ll get the best rate for US dollars. Most banks will require that you show your passport when exchanging money. You’ll find discount ticket shops (known as “kinken shops” in Japanese) near train stations in larger cities. Your hotel front desk will usually be able to point the way to the nearest shop. Some of these places will exchange foreign cash for Japanese yen and you’ll usually get a slightly better rate than at other places. Additionally, they don’t usually require that you show your passport. You’ll get the best rate for US dollars. The best discount ticket shop for changing money in Kyoto is the Tokai Discount Ticket Shop on the second floor of the building on the northeast corner of the main intersection outside the north side of Kyoto Station (it’s roughly opposite the Starbucks). Most major first-class hotels and department stores will exchange major international currencies for Japanese yen. The rates aren’t so good and, as usual, you’ll do best with US dollars. Ask at the front desk or the information counter. In Kyoto, Takashimaya will exchange cash with a passport, while Daimaru does not require a passport. Note that both will reject bills of certain serial numbers due to fear of counterfeiting. If you find that you’re ATM card won’t work and you run out of cash, there is one final option before heading to the embassy and begging for mercy If you have a VISA credit card, you can charge yourself some cash at any Sumitomo bank (you’ll find these in the larger cities). Note that this is a counter transaction; it can’t be done at the ATM. You’ll need your passport to do this. What you’re doing is buying cash, so it works like any other credit card purchase. You’ll find the cash you charged listed like any other purchase on your next monthly statement. Needless to say, you won’t be able to charge any cash if you’re over your limit. You can get cash advances on VISA cards at the 1st-floor Kyoto Marui Department Store branch of Mitsui Sumitomo Bank.